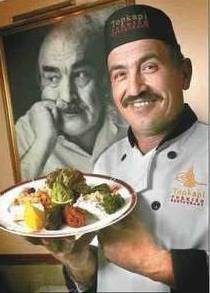 Im a Fan of Topkapi Turkish Restaurant Turc... Are you? 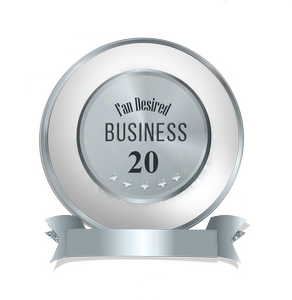 Are you a Fan of a Business? Fill in the below form and you can recommend ‘Topkapi Turkish Restaurant Turc’ to a friend or family member via a text message. Show your support with a quick share of ‘Topkapi Turkish Restaurant Turc’. Share the below banner to your favorite social media profile and encourage your friends to become a Fan. Love the food, great ambiance especially on Saturdays. Best baklava ever in Ottawa !!!! This is the best restaurant in Ottawa and surrounding area. The food is always fresh, home made, authentic and so tastety. The atmosphere is elegant but always very friendly. Nothing like an evening of white glove service !! Love the restaurant ,the food is delicious , fantastic service …music is beautiful and the restaurant extremely clean .. the staff very friendly and always happy. Awesome food, great service and love the live entertainment. I have had the pleasure of eating here & the food is fantastic. Service is friendly. Everything is awesome! The food is good and the ambiance is so perfect! Its a very romantic place to go, the food is great and the staff are very friendly. Great entertainment. Would recommend to anyone. Great food! Delicious! Great atmosphere. Very good service. Very good service,good food and a very special show with the Baladi dancers , have to see it’s a must! This is the best retaurant in town ! I have loved Topkapi now for several years! The food is always so delicious and fresh and, as if this weren’t enough, the atmosphere (who knew you get this kind of experience in a strip mall restaurant? ), staff and belly dancers, make it a must go to restaurant! And all for a very reasonable price! If you haven’t already, this is a must-go-to eatery! Food is fresh and good. Staff are friendly. Well priced. Changing entertainment. Definitely on our return again restaurant. The food at Topkapi is delicious! Best baklava in Ottawa. Such a nice treat to have with the Apple tea. Great service. Really nice atmosphere. One of my favourite Ottawa restaurants! We have discovered this Restaurant 7 years ago. It has been our top choice for all events. Topkapi Turkish is a great restaurant offering fresh and amazing food in a unique atmosphere in Ottawa. An authentic place to discover! You will meet Chantal and Nail, the awesome owners. I had never experienced Turkish food before, so I wanted to take this opportunity to experience their Turkish hospitality and taste their authentic Turkish kebab dinner. I have to say that EVERY bite was a taste sensation! Compliments to the Owners (Chef Nail and Chantal), the waitresses and the performers. With gratitude ~ Bu bravo, çok lezzetli oldu! Amazing food and very family oriented!! Fun! The atmosphere, entertainment, staff and food are all fabulous! Great authentic Turkish food, great service and outstanding live entertainment. I have been going to Topkapi for years (formerly located on Preston St.). I love their mezze appetizer with my ultimate favorite being their Iskender Kebap. Prices are reasonable, food is fresh and flavorful, service always great! We have also taken our children to see the entertainment which was fun. Definitely worth a visit if you have not been. Amazing service, amazing food and amazing ambiance. This restaurant is one of my favourite places to go to when I am looking for a healthy meal while out and about. Topkapi serves the best fresh hummus, the most tender lamb and some savoury desserts. Try it, you won’t regret it! I am a fan because of the excellent Turkish food with an emphasis on health. I\’ve been there several times and the crowds really seem to appreciate the live Belly Dancing entertainment along with the exquisite service that is offered. It has an ambience that is bright and cheerful and staff that make you feel at home. What else can I ask for? I discovered Topkapi turkish restaurant 2 years ago and it is our to go place since then. The foid is great and healthy, always fresh, the staff very friendly. Prices are good and it offers entertainment and special events at no additional cost. One big plus is the kids meals are good meals not the usual spaghetti or chichen fingers. My kifs love it!!! © Copyright 2019 Online Reputation Management – Business Review Site | FansChoice.org - All Rights Reserved.